How do you feel about symmetry? The drive for balance suggests the image of scales displaying equal weight. Think about it. Food/Exercise, Work/Play, Friends/Family. Everything is nice and tidy and a good routine supports our choice for balance. And yet, we yearn for variety. Indeed our culture is all about tempting us to mess with our precious balance for the sake of introducing something new. The rule of three is a time-honored method for introducing asymmetry into our daily lives. Adding a little flair to your home or personal attire can brighten your day with a grouping of three. Use the rule of three as a memory device the next time you have a lot on your mind. Your brain will thank you! Any odd number of items together that breaks the symmetrical pattern of our lives creates need to restore balance– and keeps life interesting! We may not welcome it at the time of course, but rising to the challenge is what living is all about. In the depths of August we can take stock of the summer, ask, what have we done to savor the season? What still needs doing? Did we have enough ice cream? Enough surf riding? Enough hiking? Seasonal activities can be gathered into a mental image to create snapshot of the entire experience. With mental reinforcement we remember it better later. My image for the summer isn’t the scales of balance or the group of three. They don’t capture the lushness and the energy of this fiery season. Instead it is the cluster. There is an obvious example in the backyard vegetable garden. There are so many others. So that leads me to ask- what is the shape of abundance for you? It’s no secret, the change of seasons influences us all profoundly. No matter how hard we work to maintain a constant environment with regulated temperatures, a ready light source and an abundant variety of food to suit every taste, stepping outside our chosen hives of activity we confront the day before us. The Winter Solstice arrives December 21 at 11:28 am. EST. Take a breath. Here in New England the air is crisp and dry. The sun has a different slant. The colors have begun leeching from the landscape, leaving only the evergreens. A flurry has left behind a tidal wash of snowy icing here and there. There it is. Winter is here. This is the Shortest Day. The time for Revelling is at its peak! Change, I’ve often written, is our only constant. Take comfort in this one sure thing. Some may despair while others celebrate. We cope and hope and look to the new day. May you praise the moments of light, embrace the warmth in the presence of caring individuals, feel all the way to your bones the music of the season and cherish the moments of stillness in the aftermath. When the festivities fade let the curtain close, take the time to replenish your energies and gather the fuel to grow and renew your forward motion. Compassion and kindness are not soft, they are strengths. We need them in our personal lives and in community. We need to show ourselves that same compassion. The internal critic can be a harsh taskmaster and deflecting it onto others to avoid its judgement does not relieve the pressure, it only tarnishes us further. After the big moments are ended, avoid the letdown by looking for the small moments. Cherish with gratitude the ordinary. We’re granted the reliability of a perpetually turning Planet Earth. There is a reason to celebrate this quiet victory: find it and savor it. According to the Old Farmer’s Almanac our winter will be very very cold but without much snow. We shall find out in due course. I may have to declare a few personal “snow days” because I cherish the enforced time of stopping in winter. To be fallow is not idleness. We all need time to let the noise pass through us and allow deep knowledge to settle. Experience the simple beauty of nature to emerge refreshed and inspired. Do something good for someone. Make it a practice for the New Year. Happy Solstice, Happy Holidays to all. P.S. May you experience a true Jolabokaflod – a Book Flood of reading to light the winter darkness. There’s been a lot of justifiable seriousness to women’s conversations lately, aka the entire year, aka a lifetime. The relentless triggering of past trauma is a drain on our energies and real block to forward momentum in our lives. Sometimes no amount of mindful techniques, nature walks or power boot camp gym time will work for very long. If you can’t sit still for spa-like self care, what’s the alternative? That’s when it’s time for a walk on the sillyside. This is a free practice- it needs no alcohol, chocolate, expensive clothes or elaborate props. Sustained laughter with a willing companion who can see the humor in the ordinary is the most valuable commodity. Being able to have a whimsical or offbeat take on the travails of daily life is a skill vastly underrated in the competitive world adults must dwell in. Women today are very careful to project the professionalism that creates the proper boundary in a world too eager to capitalize on weakness, shortcomings and embarrassing moments for personal gain. When can we relax when social occasions can turn into one up-womanship with questions about how many children, work responsibilities, hours on the job, number of high profile clients, etc. Please, must we go there? King Arthur Flour on the Road — biggest spatula? A trusted friend who knows how to laugh with you rather than at you is the most precious commodity today. I have a dear friend who always greets my phone call with smile in her voice. The occasional costume opportunity or themed party food are embraced with exuberance. We feel safe dropping our guard and quickly our conversation becomes high volume, punctuated with hearty laughs. When we get into the car for a road trip oftentimes we are laughing so much we miss our exit and have to double back or take elaborate detours. Turning our latest family concerns or work frustrations into humorous anecdotes allows us to gain perspective and move into a more joyful frame of mind. A quirky sense of gentle fun is often stock-in-trade in the children’s book world. Childhood favorites have the advantage of being familiar and yielding fresh insights. 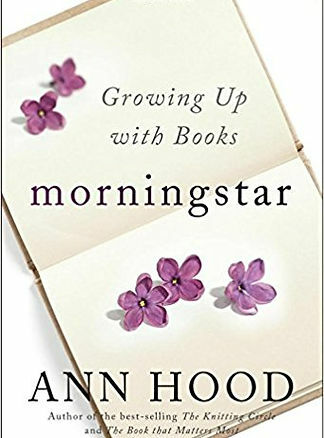 Ann Hood illustrates this well in her memoir, Morningstar. Treasured books from young childhood have a special pleasure. When we long for a kinder, simpler world we can find it again in the wonder of experiencing the world with new eyes. Very often it’s stories about animals embodying human traits that give a child permission to be true to themselves. One favorite such book is The Story of Ferdinand by Munro Leaf. Sometimes it’s about reaching for the future, as in Goodnight Stories for Rebel Girls. By connecting to the values we teach children we can restore our sense of hope for the future of the adult world to come. P.S. When December arrives I’ll be in line to see the animated version of Leaf’s tale, Ferdinand. How will it compare to the 1938 Disney classic, Ferdinand the Bull? What’s your favorite sillyside practice?? Gathering the Harvest in the Autumn is a ritual joy, a riot of color with red apples, deep orange pumpkins, yellow gourds and green cold weather vegetables. They also are most commonly local, fresh picked and very tasty. Take advantage of that anyway you can. There’s a contentment that comes with being in tune with the cycle of the seasons. At the harvest we can focus on collecting the abundance to enjoy while the gardens and farms recover their energies for the next round. Collecting our thoughts and reflections on the season of action just passed is another aspect of this process. For me initial reflections have led to drawing upon my root values and passions. In my outreach work I strive to provide a viewpoint and some action steps for those who are seeking them. I’ve come to see it’s a starting point for change. Community is not one voice but many voices and there has to be variety to hear what’s true for you. Creative thinking is one aspect of the need for connection, one that opens up conversation. Another is moving the body. Movement for physical health and when done ina group as an act of social harmony is essential. In addition, I believe making work by hand is an important means for the mind and body to work together on a manageable scale. Cooking is the most elemental of the maker activities I thrive on. During the harvest there’s a lot of that. What I miss I’m discovering is my art studio. It’s been left fallow for some time now and rather than disband it, I feel the need to take it up again in new ways. I see how collaboration is bound up in all my work. For example, I enjoy writing for The Parsley Way, but miss the collaborative aspects of it, the give and take, the inspiration of conversation and good company. I’d love to find some writers to share the positive message of the Parsley Way – and encourage you to write something that reflects the spirit of this work. I’d love to share Your Voice with any readers here. The studio is another important place of collaboration. I’m revisiting a lot of past work and exploring new paths because this too is integral to my practice. I may be posting less often as I get deeper into some new directions. If you want to get more in touch with your creative handwork I welcome you to contact me for guidance and shared encouragement. With our natural segue from the growing season we can plant some bulbs as a down payment on the distant spring. Right now it’s time to gather in the abundance of the garden and store it away to drawn upon over the winter. Never Coming Back by Alison McGhee for a searing look into the mother-daughter relationship. See my review on Goodreads for more. N.B. Use the comment section to let me know your interest and ideas; list your contact info- I will keep it private. Labor Day Weekend is almost here. Looking ahead to the turn of the season means most of us shake off the sand and fold up the beach towels. I’m not much of beach lounger myself but I do love walking along the surf’s edge. Fortunate am I to combine beach walking this summer with multiple reunions with dear friends and family. We visited 5 different beaches in 5 east coast states this summer! It is rare occurrence for us to have so much activity and one that coincided with the cosmic event of the solar eclipse. Believe me I cherish each and every memory, stored up to examine again and again in winter. One thing I observed about kids and the beach, the play is pretty similar today to when we were kids. Remember that sand pail and shovel you used on the beach as a child? How many different ways did you use that? Not just for sand that’s for sure. It can hold lots of beach flotsam and seawater, the precious bits and pieces to later spark shards of memory. In my mind’s eye I see the roll of the waves, hear the sounds of the surf and cries of gulls, and feel the sand between my toes, smell the briny shoreline. Remember when the shells and stones, mermaids purses, dried seaweed, and driftwood festooned your bedroom and littered the back porch? Maybe today you don’t use the bucket, maybe you should. We’re all familiar with the Bucket List, a popular term, made more ubiquitous by the 2007 film, for that list of things to do before you die. It’s no small thing to be made aware of your mortality in such a way. To “kick the bucket” is a bravado term for dying, one that invokes the image of cowboys expressing gallows humor, i.e., that detached coolness in the face of dire odds. A bucket list is so much better if it motivates individuals beyond their fears and daily to-do lists, spurring them to positive action for their own well-being. Whether you see your glass half full or half empty right now, I recommend a different kind of bucket. Not the end-times container but one we can carry every day. It’s the container of our core beliefs, a reminder of what we value, and how to put those beliefs into action. Have you thought about yours lately? Why not cultivate a commitment to altruism, the selfless concern for the well-being of others? Prosocial action is good for you, and good for all. This is how we grow resilience in the face of stress, by reaching out in our own small ways as best we can. We are all neighbors after all and recent events in Charlottesville and across Texas illustrate that in the most graphic and dire ways. In the waning days of summer, ask yourself: What are my core beliefs? How can I bring actions for our common good into greater alignment with my daily life? Close your eyes and listen to the waves, see if you can hear your answer. Look up! The world is turning it’s eyes to the skies for the next couple of months with summer fireworks celebrations and the coming solar eclipse on August 21st. It’s a good time to ditch your inner cynic and that “meh” feeling and engage your power of awe. Whether it’s on the macro or micro scale, there is beauty and wonder to be found all around us. It takes us out of ourselves and unites us with all living things, engendering a sense of wellbeing that’s good for overall health. A recent study out of UC Berkeley suggests awe-inspiring moments actually reduce inflammation through positive emotion, altering our immune response. What’s you strongest sense for experiencing awe? Is it the sound of loved one’s approach, the softness exhale of baby’s breath, or the feel of a pet’s fur? How can you be sure your summer days are awesome?? Berry picking takes you up close with nature, using all your senses to find the ripest, most sweet smelling fruit. You can marvel at the shape and texture, the weight of fruit in your hand before you pop some into your mouth. Find your View\point. You don’t need an exotic location to enjoy a view- although it sure can be spellbinding. Just a lookout from a vantage point can change your perspective and help you see the big picture. Too foggy to see the horizon? Bend low and find the life within a tiny lichen to take your breath away. Star gazing is a sure way to enjoy the night sky. There are more stars out there than you think. Take a telescope out to a playground and have a look around. Where ever you go Notice the light. We’re in the season of light and although the days are subtly growing shorter there’s plenty left. It’s not just fireworks that inspire awe. As the dawn comes up there is a symphony of awakening to behold in the sunrise, and a spectacle of a color in the sunset before moonglow. Dance the Eclipse Use this suggestion to create your own personal interpretive dance for the eclipse. You could help raise the positive emotion of the planet and for sure you will please yourself! Mind games—Reading keeps you mentally sharp especially longer sentences and new vocabulary. Lazy hammock days are just right for tackling a literary classic you always meant to read. Or try one of the newly re-framed Shakespeare classics from PenguinRandomHouse: Vinegar Girl by Anne Tyler or Margaret Atwood’s Hag-seed. Fruit Delight For a fruit treat, nothing is better than a rustic Crostata. No pie plate needed. Just shape the dough onto a baking sheet, pile your fresh picked fruit in the middle and turn up the edges. I made this one with figs and almonds. Best Wishes for Health and Happiness this Summer! All Photos Claire Mauro unless stated. It’s Summer time, do you know where your toes are?